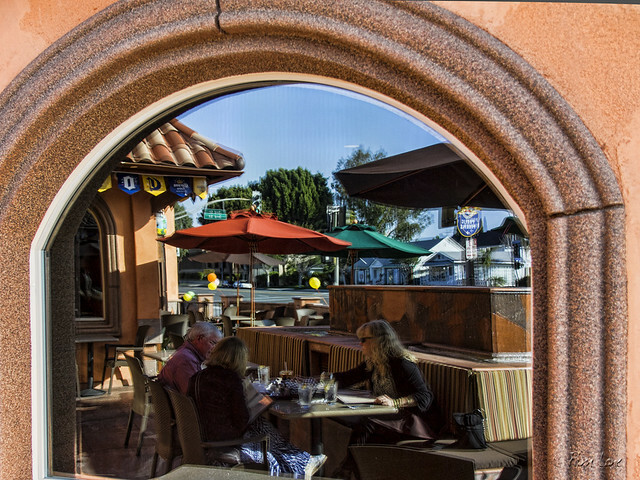 With our recent nice weather, several of us decided to try out La Barca's patio dining area. The patio is right next to busy Paramount Blvd. The same setting on a busy Paris street wouldn't give me a second thought, but it seems disconcerting in suburban Downey. Why is that? 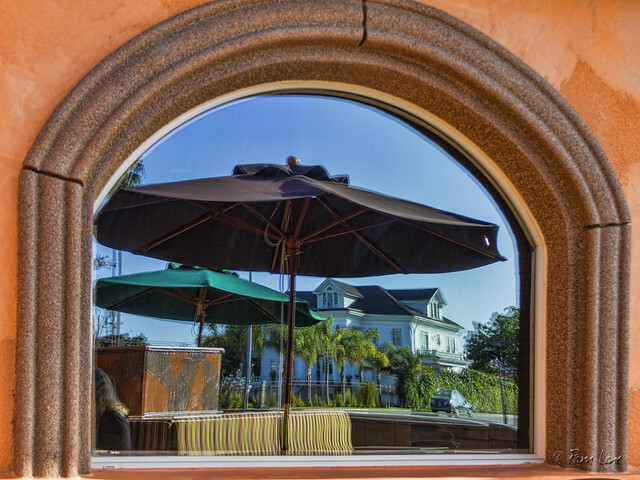 But in any case, our dinner was pleasant and the view of the historic Rives Mansion in the large reflective windows was appealing. Fantastic reflection game. Have a great weekend!